If a character in Westeros lives long enough – or just long enough to matter – they’re bound to have an iconic scene in Game of Thrones. 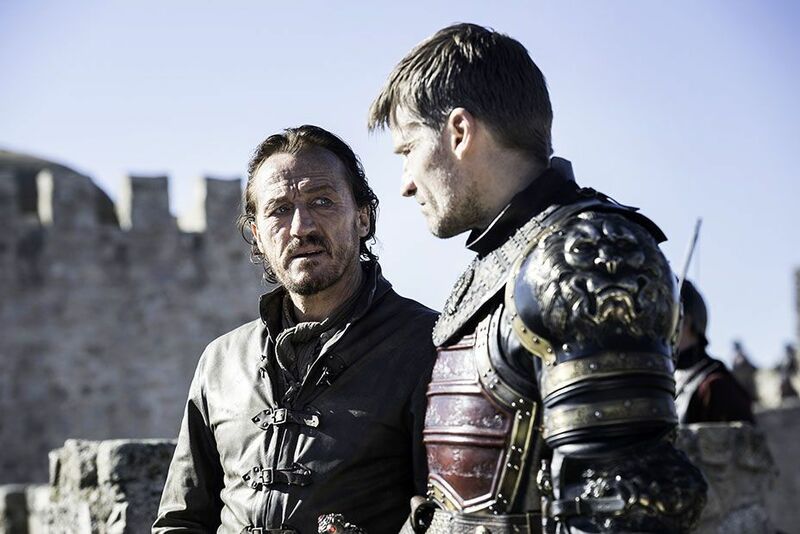 For Ned Stark, it was being beheaded in King’s Landing in the penultimate episode of Season 1. 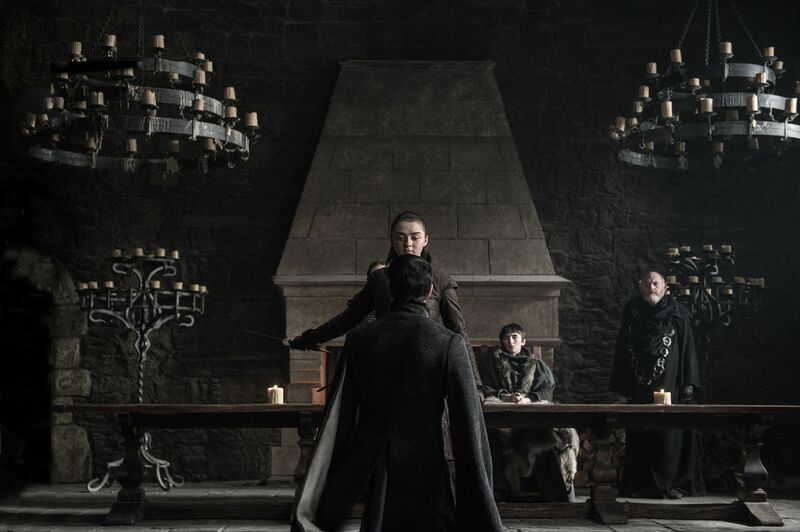 Robb Stark’s moment happened when the Lannisters sent their regards at Season 3’s The Red Wedding. For Prince Oberyn Martell it was having his eyes gouged inward during the trial by combat against The Mountain. And sweet Hodor will forever be remembered for holding the door. And yes, most are deaths but … they don’t have to be! 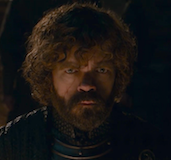 If you’ve been doing a Game of Thrones rewatch in anticipation of the show’s final season, which moments do you think count as most iconic for the characters left? 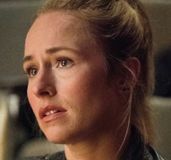 Ahead of the show’s return, Collider challenged a few of the show’s stars to think back on their characters’ own resumes for their thoughts on that question. TURNER: Yeah, L.F. I think that was — for Sansa — definitely her most iconic scene. Do you think that’s yours as well? 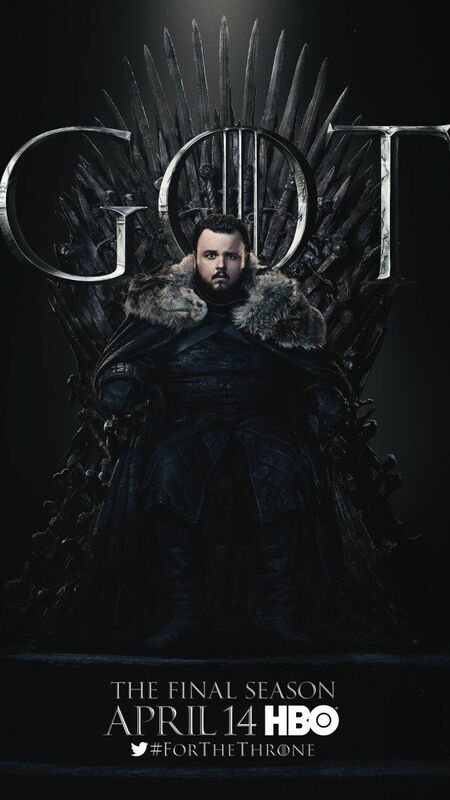 WILLIAMS: Yeah, it’s pretty special, because also the nice thing about that, it’s like the one time that Arya is – obviously she’s killing for herself, but it’s … not full of hate and revenge. 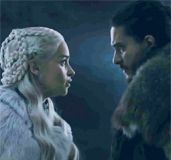 They’re sometimes so sadistic and it’s like, when your hero takes it too far – you know when Jon’s beating, what’s his name? WILLIAMS: Ramsay, you know? And you just take it a bit far and it comes from … just not a good place? [This was] the first time that Arya was just, ‘Get the job done.’ And I kind of like that, you know? It’s like using her power for good. HEMPSTEAD WRIGHT: In terms of just one of the key scenes in Game of Thrones, it’s got to be the push out the window. That is actually what David [Benioff] and Dan [Weiss] said in their speech [the day I wrapped on the series]. They said that was the moment they knew this was going to be a big show – when [there was] that first, initial massive cliffhanger of a 10-year-old being [nearly] murdered. And that’s kind of what sets up a huge amount of the sort of falling domino effect. So, yeah. Pretty cool to be a part of that. 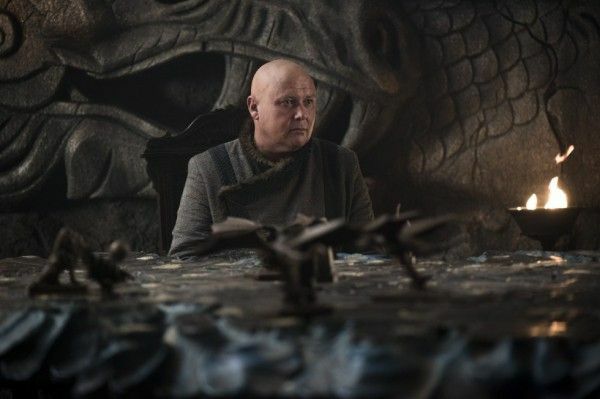 HILL: I liked [Varys’] explanation of where he came from when he was opening the box with Tyrion. That was pretty iconic. He said a huge, big long monologue of where he came from and why he was where he was. COLLIDER: Because he was such a mystery up until that point, too. BRADLEY: Killing the White Walker for Sam was certainly, because I just think that was the moment where you started to get a sense of his innate bravery. 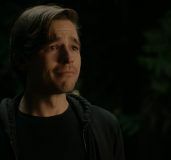 Ever since he was born he was told that he was a coward and he’s not brave and he’s never going to achieve anything and he’s just going to be a dead weight and a liability to everybody and that was a moment where, for the first time, you see him not have time to remember that and not have time to think himself out of action and he’s reacting purely from his heart and from his gut to protect the things that he loves the most. And I think that that was the first inkling in him that there was more under the surface and he is actually brave. The only problem is, for all his life, he’s believed that he isn’t. 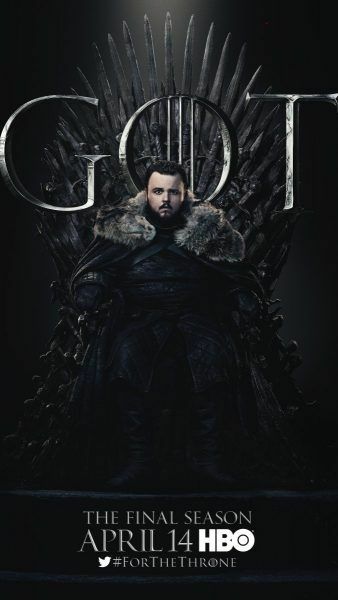 … The fact that he talks about it all the time, the fact that he’s always going on about how he killed this White Walker, just says that that was an important moment of revelation both for the audience and for him experiencing it as well. MURRAY: I think for Gilly it’s probably going to Horn Hill and meeting Sam’s family and getting a bit of a makeover and then, in that context, which is so alien to her, she has this incredible courage to stand up to Randyll Tarly and tell him about himself and I loved performing that scene and I loved that little monologue that she has. And I just thought you saw her at her best and you saw her so, so far from her origins in that context as well. FLYNN: I love the fact that he got his moment of glory with the dragon and that whole thing was just a joy to be part of, but then there’s many other wonderful moments that he shared, which were maybe less heroic and more typical Bronn. 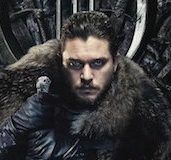 ASBæK: I think it’s difficult to pick because honestly, I love all the scenes that I’ve been able to do in Game of Thrones because they’ve been so much fun, because he’s a fun character. I love the scenes with Cersei and Jaime because they were just – it was my first day of shooting on Season 7 and I was like, ‘Yeah! Finally! I get to be rowdy and rude and badass.’ But, I’ve got to admit, working with the stunt team on the ship on Season 7, Episode 2 — Rowley [Irlam, GoT stunt coordinator] and all of his guys — was a dream [come] true because I was working with the best stunt people in the world and it was just amazing.